"We don't always have years to research and develop interesting ancestral stories, so the key is to partner your sleuthing skills with effective genealogy research tips to fast forward your research." Based on a successful model to build your ancestors' life stories, Kathleen Brandt of a3Genealogy shares 10 tips to effectively fast forward your genealogy research. These techniques are applied when conducting celebrity and VIP client research. Kathleen Brandt's research can be seen on NBC TV series Who Do You Think You Are?. She was a featured genealogist on the Tim McGraw episode (Season 2) and worked on episodes for Reba McEntire and Ashley Judd. She has also researched for PBS - Finding Your Roots. This lecture is offered to beginning and intermediate genealogists, as well as for those who wish to pursue genealogy as a career. May be tailored as a course, workshop or keynote speaker lecture. Kathleen Brandt is a Professional International Genealogist and Consultant and is a published freelance writer for genealogy magazines and columns. 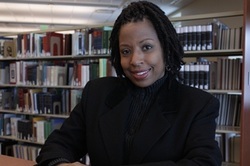 She is also the author of the a3Genealogy (http://a3genealogy.blogspot.com) educational and skill building blog that explores various cultural and ethnic folk life, traditions, history, and genealogy research tips. Utilizing twenty years as an international corporate executive and five years of teaching college level Spanish, French and English writing courses, Kathleen offers workshops and lectures to the genealogy community and is a consultant for various corporate historical, cultural, and genealogy projects. As a multilingual speaker, she translates Spanish, French, and Italian records and has experience researching German, Swedish and Hellenic records. Great ad! You have so many impressive items on your resume, wow. I believe the fast-forward concept will appeal to many people these days. They will be ready to leap over brick walls with you! That's a super photo, also.